One by 1, Inc. is a non-profit organization focused on building youth and adults, reducing recidivism and keeping communities safe. We provide youth development programs and services and supports to help develop youth and adults who are reentering their communities. Join us on Saturday, April 14 at 6:30pm for a screening of an episode from "Time: The Kalief Browder Story" followed by a panel discussion. Say No to SB 122! Help us stop Senate Bill 122 ("Criminal Law - Comprehensive Crime Bill of 2018") by making calls to members of the Appropriations Committee and your delegates before Monday, April 9 at 4pm. 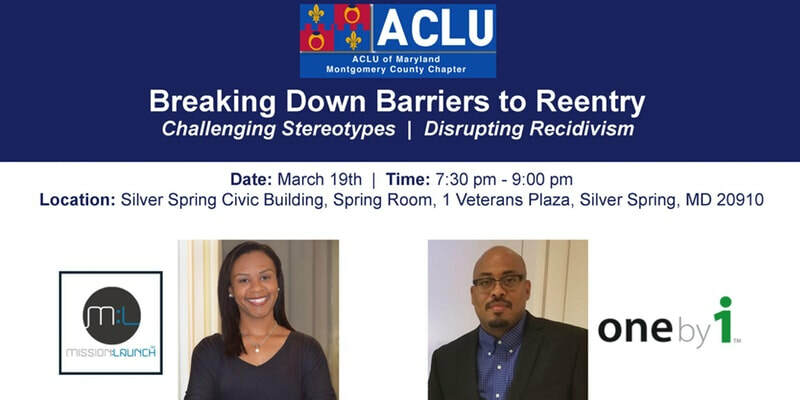 On March 19, Eddie Ellis co-lead discussion on the “Breaking Down Barriers to Reentry: Challenging Stereotypes | Disrupting Recidivism" event. Join us and help enrich and empower people and communities.